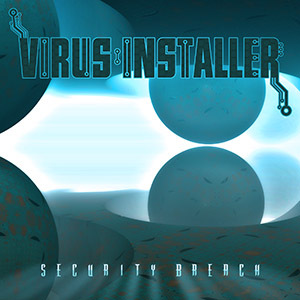 Following up from his successful debut release Trojan.exe, Australian producer Virus Installer is proud to present his second release, Security Breach. Virus Installer is heavily influenced by gypsy melodies, traditional folk tunes, and blues riffs, and this album shows just how much these styles of music has shaped his style. Expect to be singing these melodies for days as they leave you hypnotized with delight. All production by Andrew Gilholme. Mastering by Felix (The Pugs). Artwork by Beau Deeley (Xenodimensional). MP3 Download | FLAC Download | WAV Download · Download count: 9,009. Just wanted to say a big thank you to Ektoplazm for continually releasing great music. If you can, please support them on Patreon. And a big thank you to everyone who downloads and listens. I truly hope you enjoy the music as much as I enjoy creating it. I love it! Fresh & complex, interesting, chilled and fun! Most psytrance is generic, one artist is like the other. This one is special. Laid back & cool. More of this….can’t stop smiling while listening :P! Music for the fragglekindergardenplayground! Very happy sounding release :) Don’t understand the low rating for such an unique album, full of creativity. Parabéns ao produtor um excelente som. maybe this album is more for suomi, but I like much this work, is other thing. fun perky vibe, though. definitely a bit suomi. can’t say I like the general MIDI type sounds though? “Woodstock” is pure cheese.. This album is amazing! Great job VIrus Installer! Keep it up! Definetly an unique diamond. Elixir of life got me. The tracks are so detailed and ‘violently’ layered full of feeling, so that I was left speechless. It was very long ago since that happened last.. btw. Flac vs. Mp3 quality is noticeable here: I could blindly tell the difference!